Contextualizes the issue of hearing loss with animations and video shot in a local National Park. 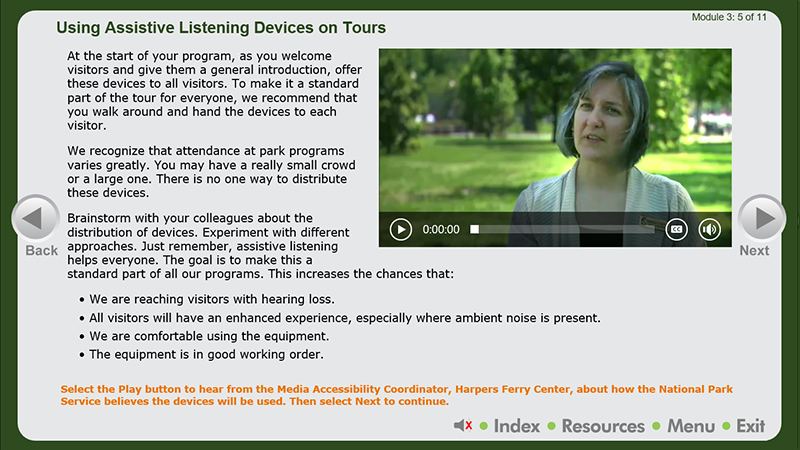 Identifies that in many situations on park tours, everybody in the group could benefit from assistive listening systems. Defines methods to approach people and introduce assistive listening devices to a group. 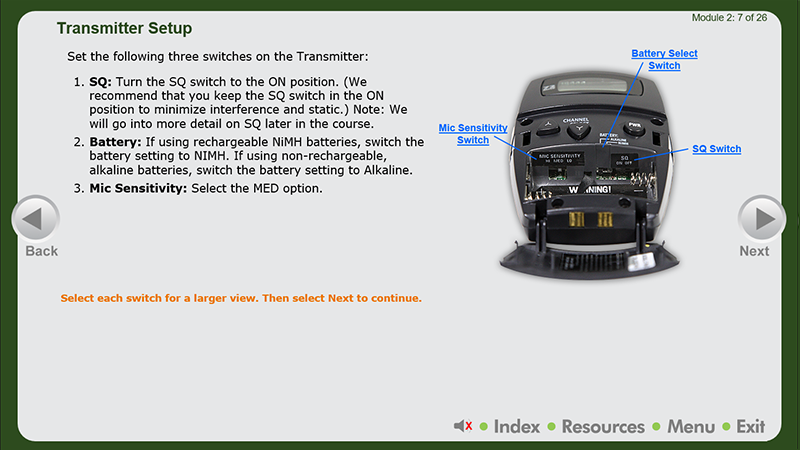 Demonstrates how to use, maintain, and troubleshoot the devices through the use of video-based step-by-step instructions. 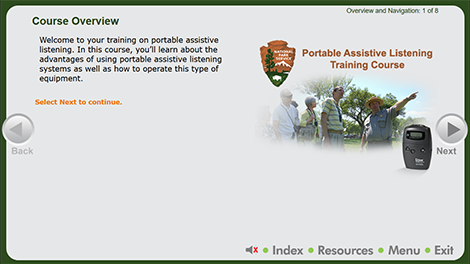 Provides videos on how to operate the devices in order to improve the accessibility of interpretive programs to members of the public. Develops an action plan so park programs can incorporate assistive listening devices into their daily services. 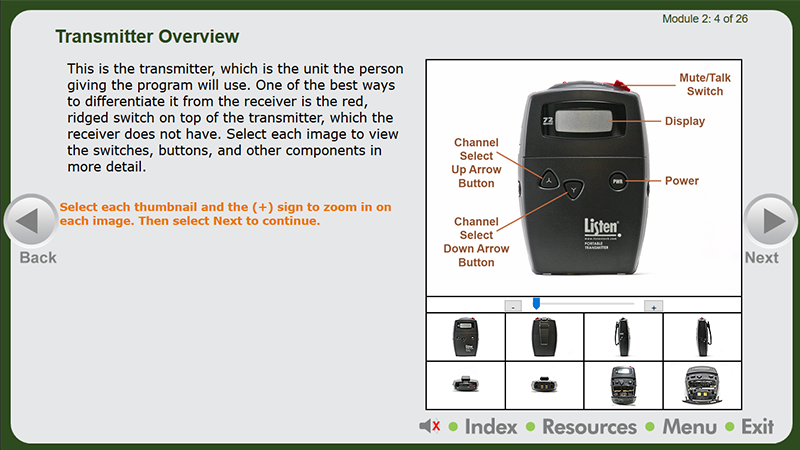 Provides additional resources in support of using assistive listening devices. The Section 508 compliant course provides alt text, closed captioning, and audio descriptions and meets the SCORM requirements of DOI Learn. This course incorporates numerous animations and videos to provide a rich contextual experience for learners.